There are just a few tiny changes this week. April 1st is a big day in DigiLand. Mostly, because it's the first. Hehehe...A lot of new scrapbooking products come out on the first and as many of you know, there are often blog hops that day, too. 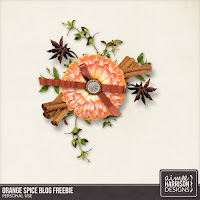 Since we also contribute to a few blog hops and we have so many new products to show off, we are pushing up our typical Hybrid Saturday to Friday and our Freebie Friday to Saturday. Though, I do have some freebies at the end, too. 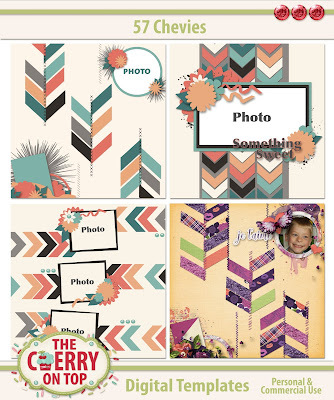 So make sure you get your pretty little butts back here, tomorrow for a huge blog full of inspiration by means of pretty pages, the newest and most awesome digital scrapbooking products and links to many freebies. I've got Aimee Harrison Designs in the spot light, yet again. 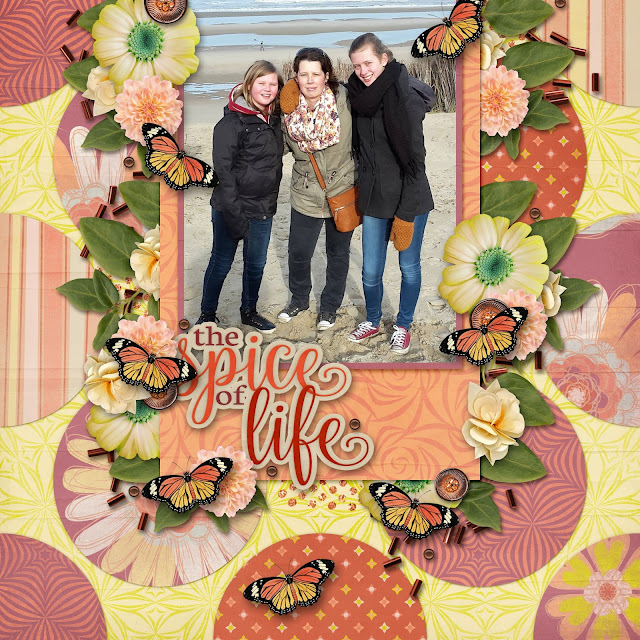 I'm showing off her newest collection, Orange Spice and some of her templates. 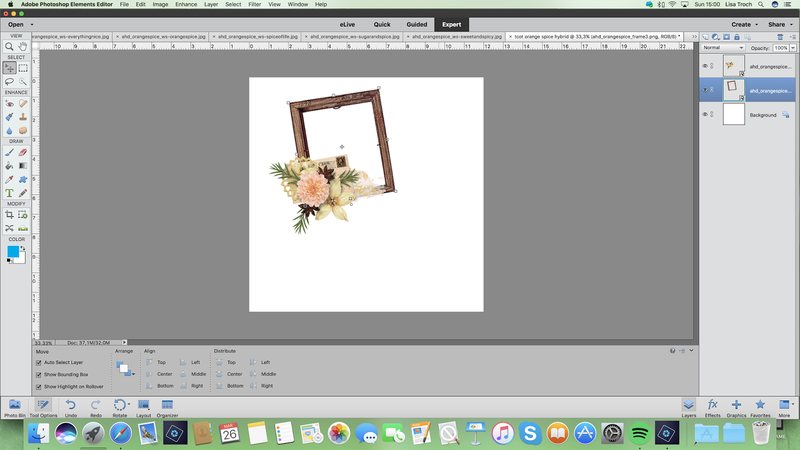 I've also got an idea for an easy hybrid project you can whip up in minutes. Above, I scrapped up my nieces and their mom at the sea, here in Belgium. I love when the colours in my photos match the kit. Sometimes it's luck and sometimes it's planned. Hehehe... 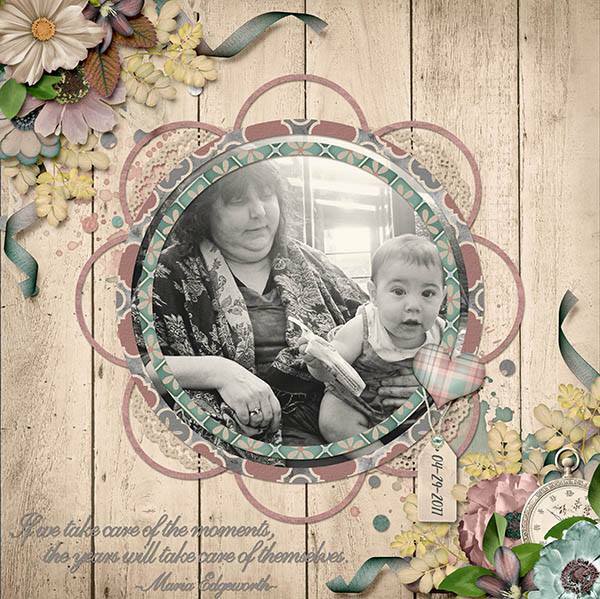 This page is strutting off Aimee's new templates, Patterns A Plenty. I've got the link further down. Check out those borders, stamps and clusters. You're pages are going to be so fantastic! Let's get right into that hybrid project. 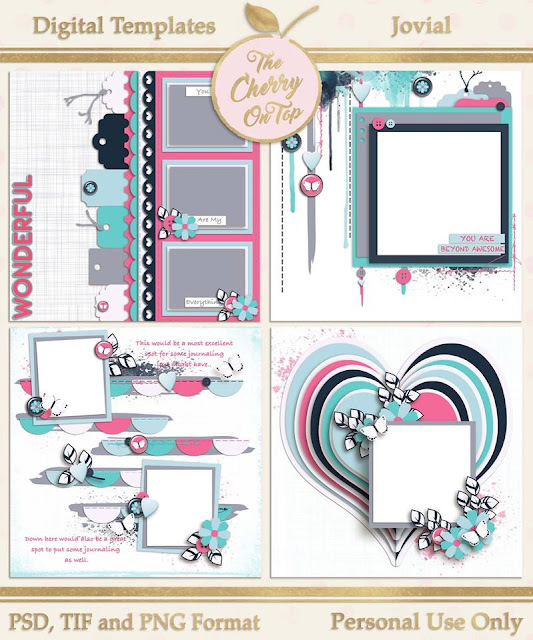 Aimee's collections have clusters, borders, word art and other special additions to make scrapbooking not only gorgeous, but really fast. 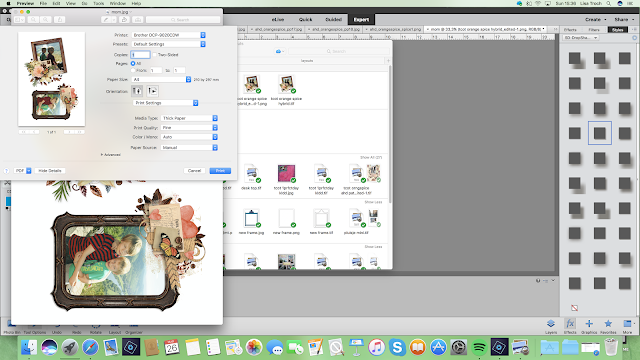 I often scrap about the many advantages of scrapping with collections either digitally or traditionally. They save so much time and when piecing various collections together is not really something you're good at, then collections are definitely for you. 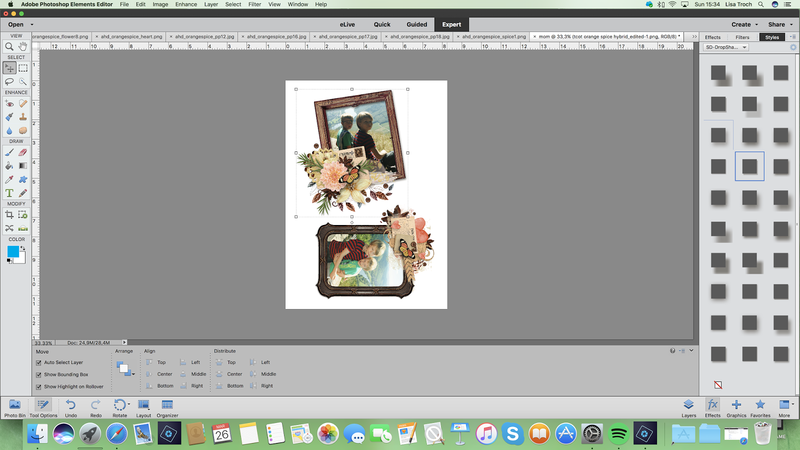 In my first screen shot, I'm using one of Aimee's clusters from Orange Spice as well as a frame from the kit. I always like my frames at a bit of an angle. 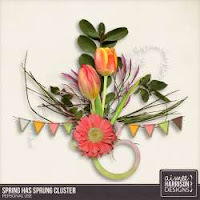 I used another cluster and added a few more elements to the cluster for this one. 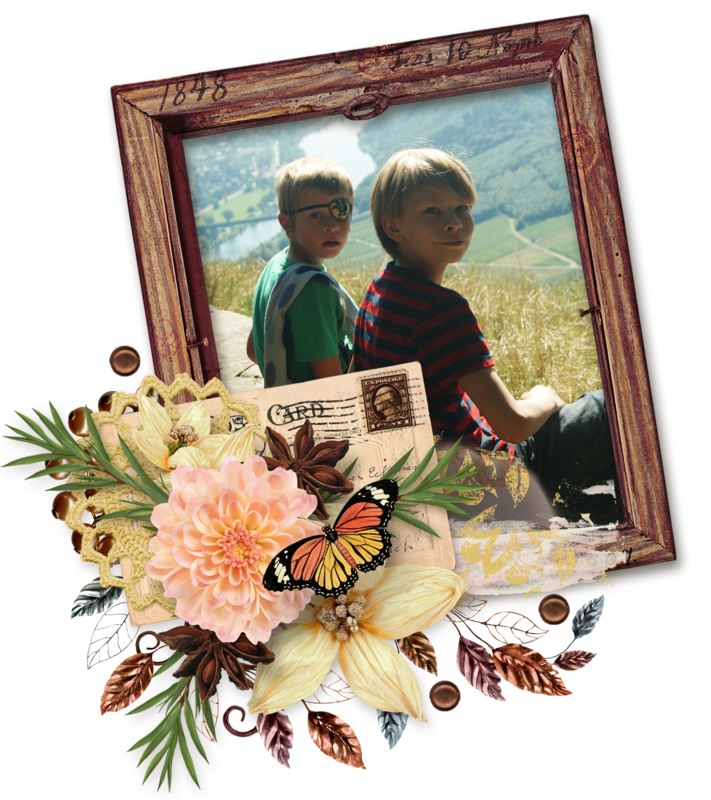 I also perused Aimee's frames from other kits and found this lovely one which matches perfectly and is a bit of me mum's style. When your clusters are all scrapped up, place them on one page to save paper. that is, if they fit. You see I turned one of them so it fits proper. For some reason, I'm not great at printing from PSE. I use my Preview from my computer for the best results. I used my thickest grade of paper for this because I wanted it to be rigid. However, if you plan on laminating your project, the grade isn't quite as important. Because this hybrid is going into the kitchen, I'm thinking thick and laminated will be best. 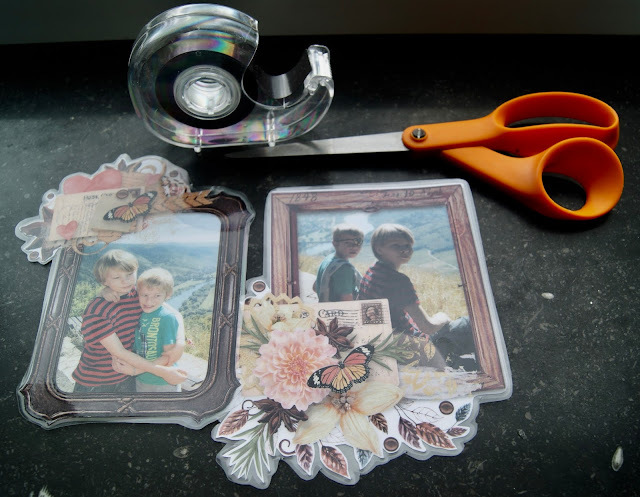 Then cut them from the laminate. You can see very obviously, that I left laminate around the edging so that it doesn't fall apart. 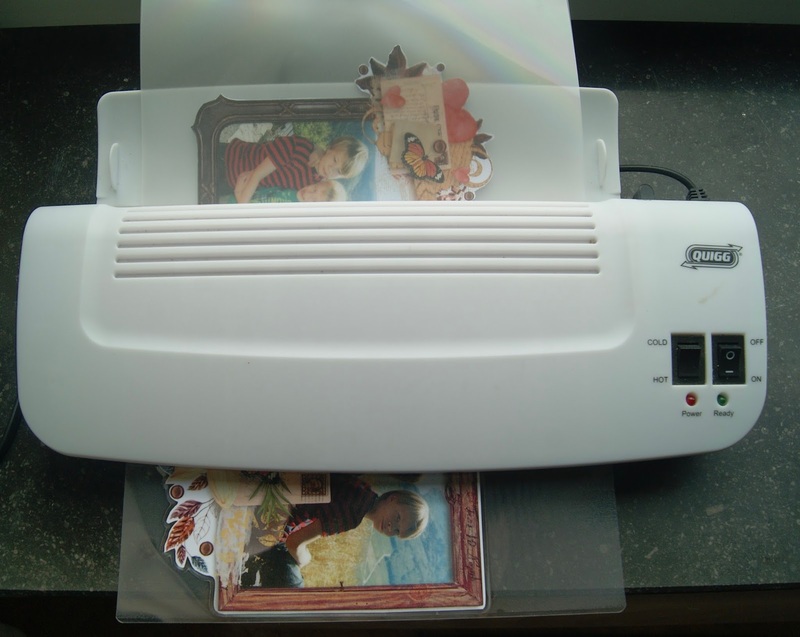 Sometimes laminate will come undone if you cut too close to whatever is inside and I didn't want that happening. I wasn't skimpy with my tape, though my project is so light, it doesn't need too much. I wanted to show them off whilst hanging. My fridge is built in so I hung them on my metal desk. Voila! 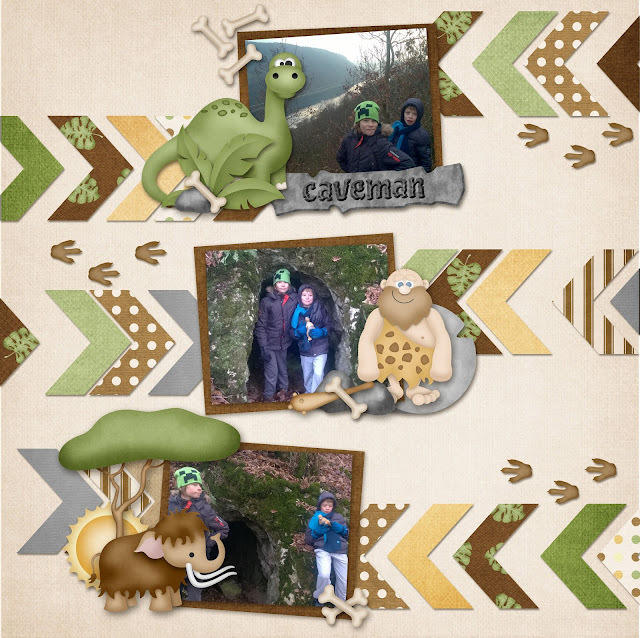 Here are Aimee's templates. They are so, so super! You are getting a bit of a bonus, today. Since tomorrow's blog is going to be so packed stuff, I'm showing off these two freebies. See if you can still download them. they are both linked up. I know for sure, Aimee has a lot of freebies on her blog and in her newsletter. I hope you enjoyed today's hybrid idea and that you find the value in purchasing collections and find the versatility they provide as well. 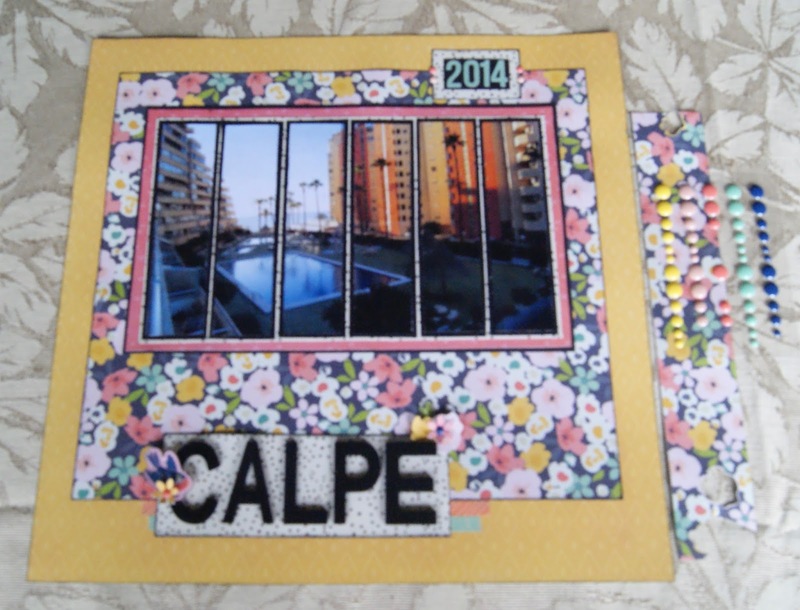 I've got a lot of scrapbooking inspiration for you from Throwing Some Scraps Around and your calendar. Keep scrolling to check out some serious freebies you may have missed. 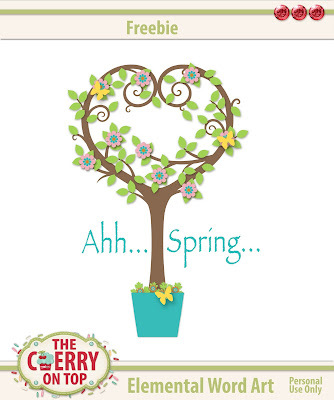 Enjoy today's blog and get scrappy this weekend! Here is your calendar. Right click to download and remember this is for Personal Use Only. 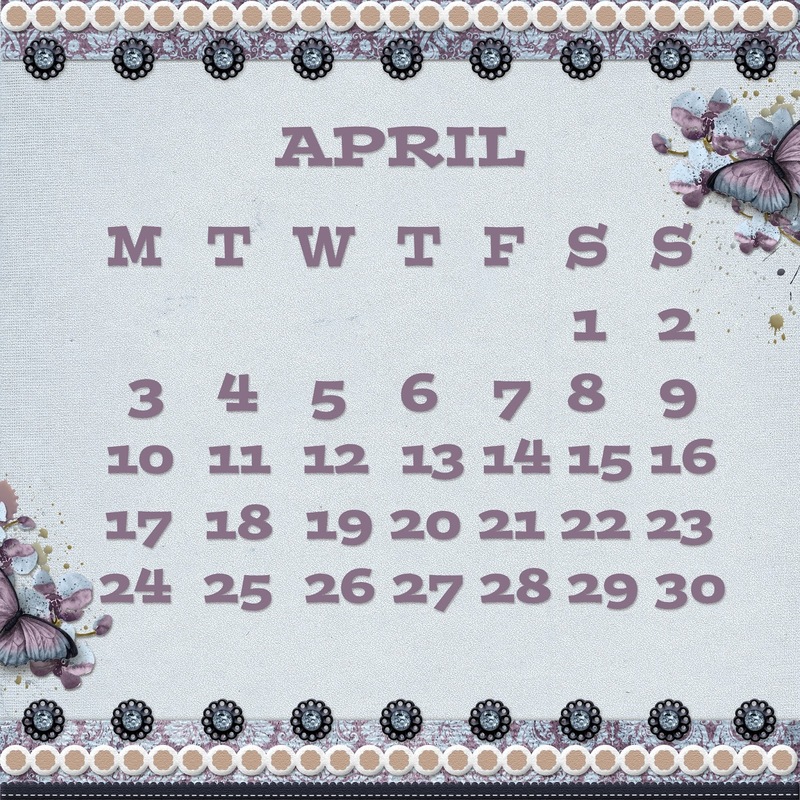 Now to show off the kit I used to make this month's calendar. Efflorescence is definitely one of my favourite kits from Jodi. These colours are so fabulous and the glitter looks just awesome. Above, I also used a template from Jodi's. 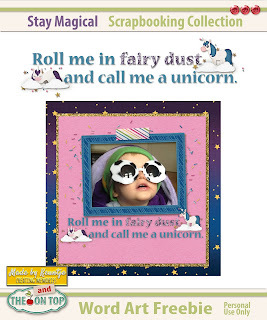 I've got most of the images linked up to Jodi's shop. Her blog is also full of freebies! 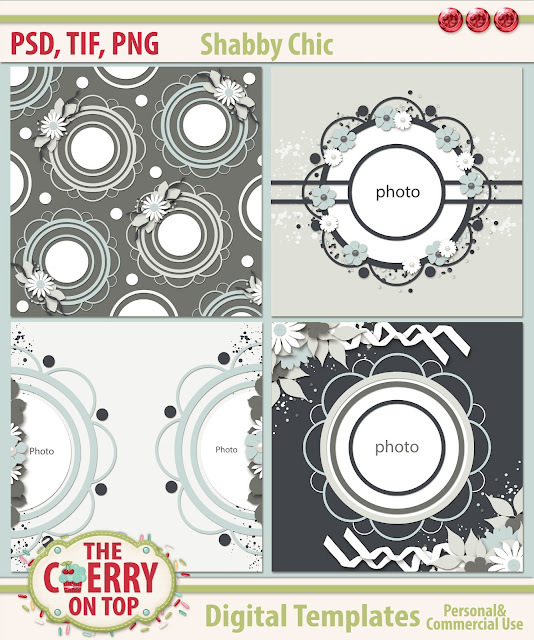 I've already blogged these layouts and in the original blog, you'll find freebies! The pages are linked to that blog. 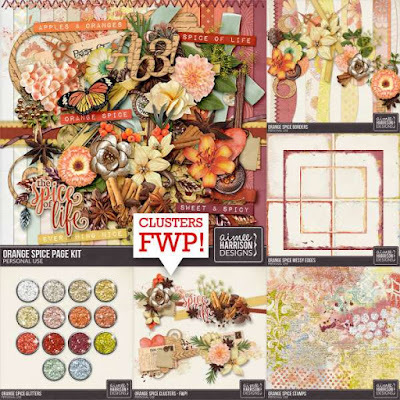 You can still get that pretty frame cluster at the top of this page. BFF kit What a fun kit! Holiday Dreaming Just love layering and Christmas. In My Day kit I often use just part of a template for my pages. 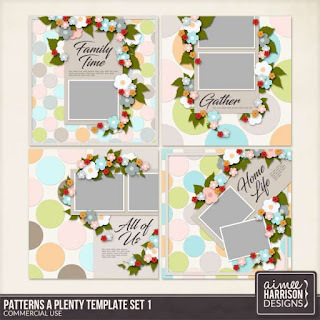 I used the layered portion of a template for the centre clustering you see on this page and then repeated some of the same elements around the edges. Shine Mini kit This is probably THE best mini I've ever scrapped with! My friends take the best pictures. 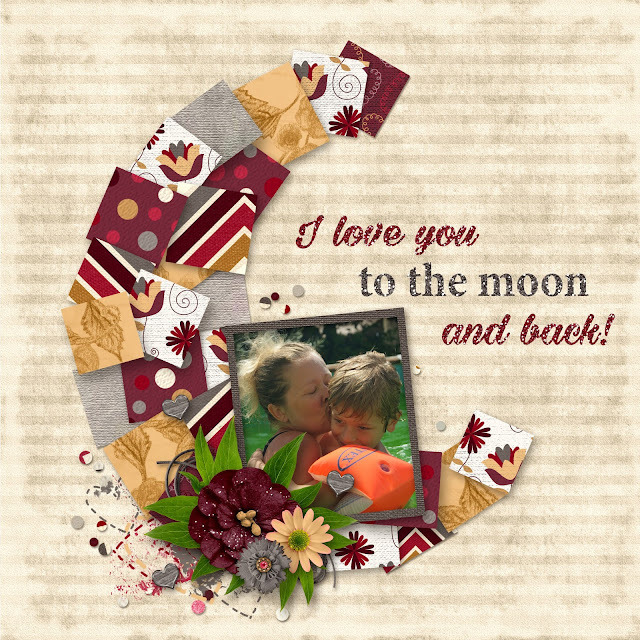 Always Yours This layout uses one of my templates, Sun, Moon and Stars. Definitely the templates with the most clicks. Check them out for yourself. 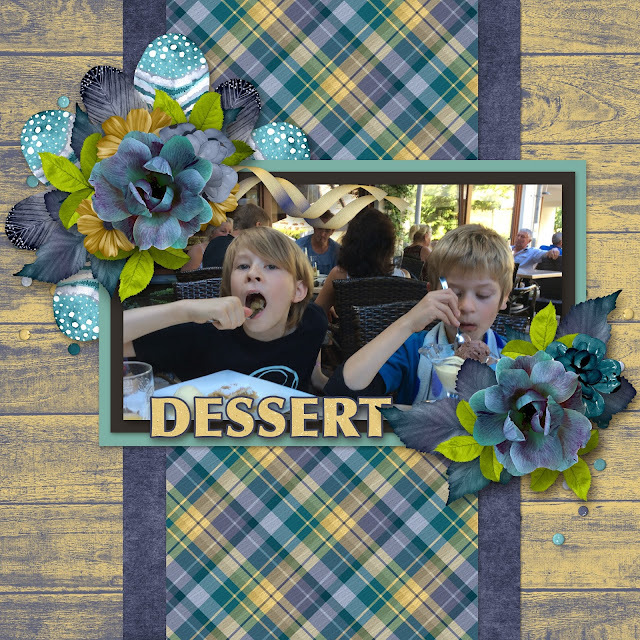 Ya get two templates for just ,99 cents! Thank you so much for making The Cherry On Top a part of your day. We've got free stuff on most of our blogs and if you are all about the freebies, then make sure you are following us here, on Pinterest and FB, where we post them nearly every single day. 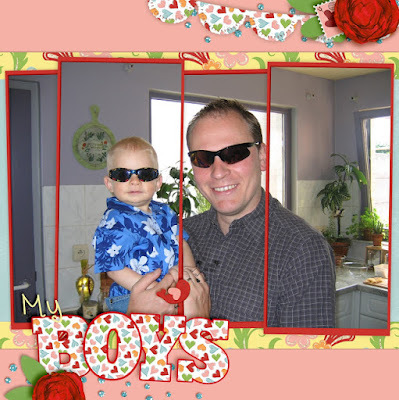 Click the previews to get to the blog with the download. Fun template with such versatility. 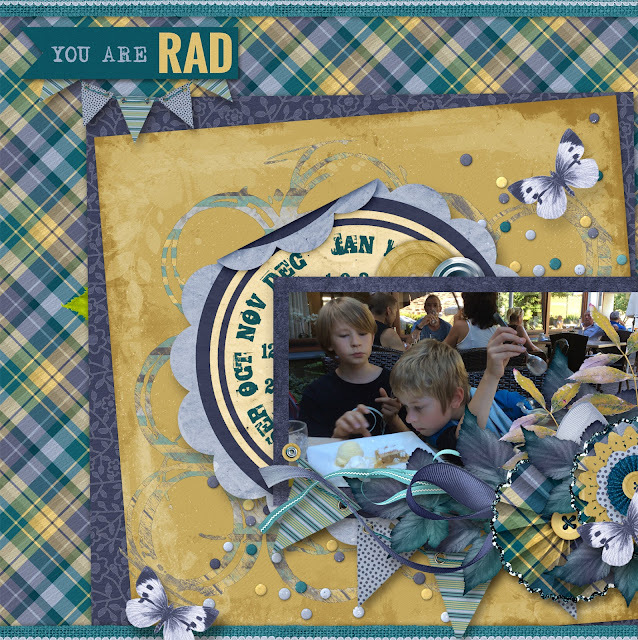 Check out the cool page ideas and hybrid fun with this template. 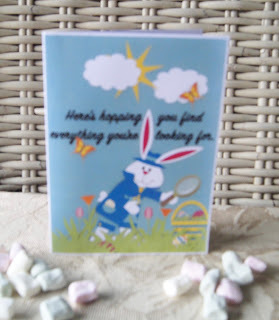 Be SURE you go to this blog and see an awesomely fun collection and gab my cheeky freebie. 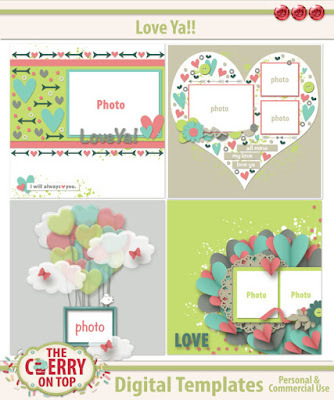 New Scrapbooking Templates and a Couple of Freebies, Too! 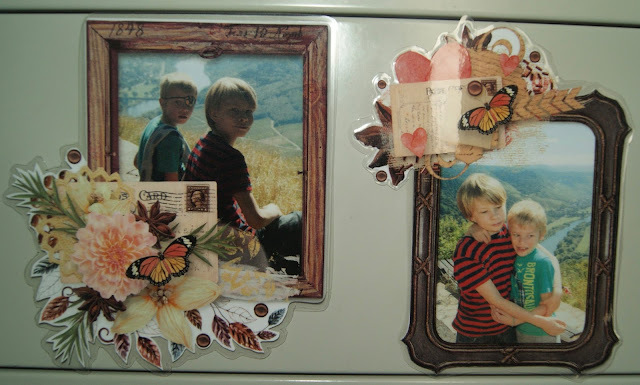 I've got some lovely scrapbooking inspiration for you, today. 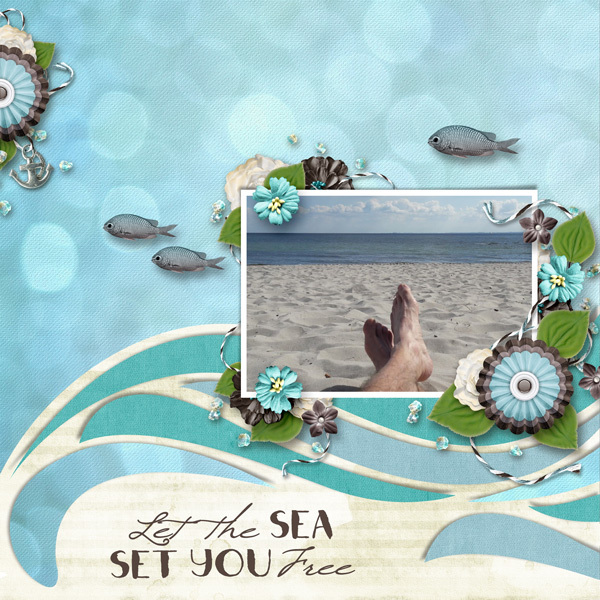 along with an introduction to some new digital scrapbooking templates and of course freebies. In the plural, baby! See what's new and see what ya missed. 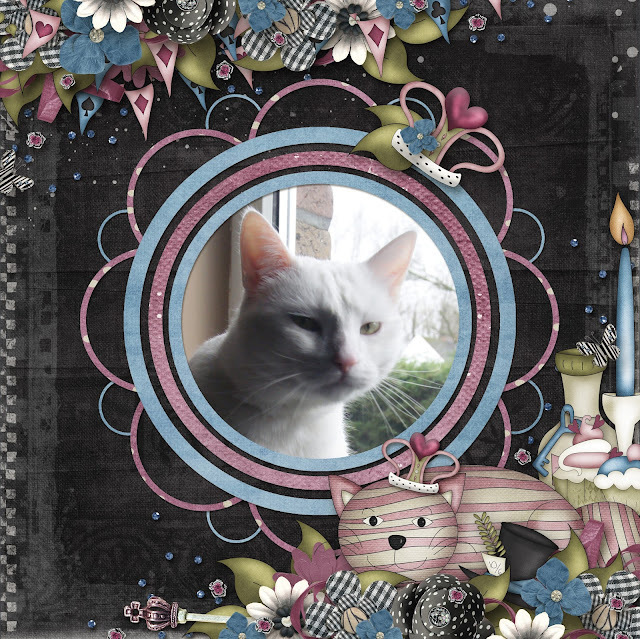 I used my new, Shabby Chic templates for the page. Note the separate layers in the centre portion of the template. You can totally customise it to fit your desires. 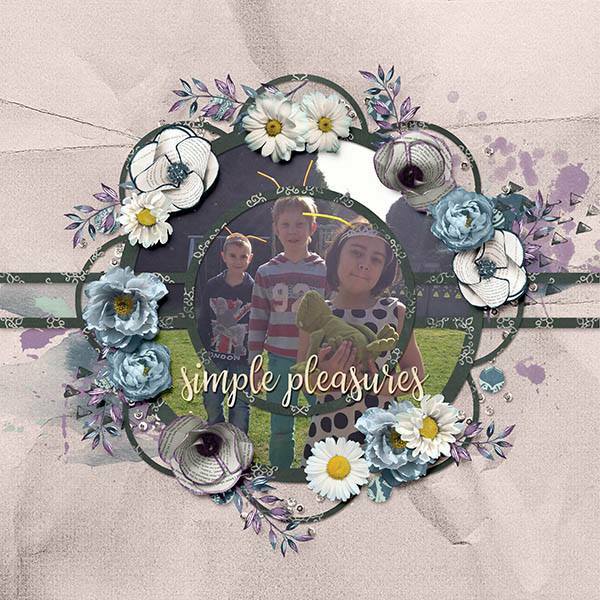 My gal Jodi from Throwing Some Scraps Around scrapped up this beautiful page using the Shabby Chic templates along with her gorgeous kit, Melancholy. I love all of the glitter and these timeless elements. You're getting a real treat with these next few pages. 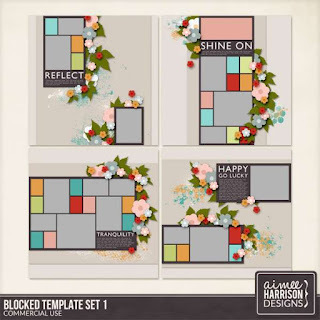 Not only am I showing off more Shabby Chic templates, but you're also getting a sneak peek of TWO new kits going out very soon. 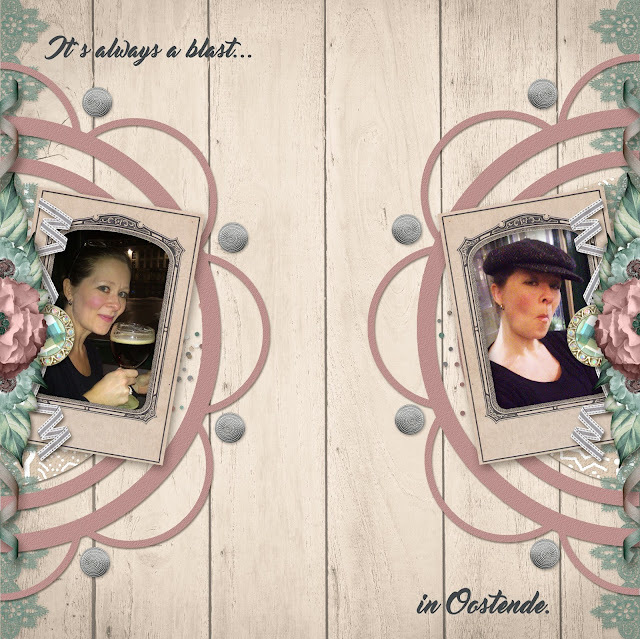 This layout of me in my husband's new hat and my favourite past time, drinking a beer. Grembergen donker to be specific. Hehehe...It's my all time favourite. This a kit coming soon from Throwing Some Scraps Around. Aren't these colours just fabulous?! 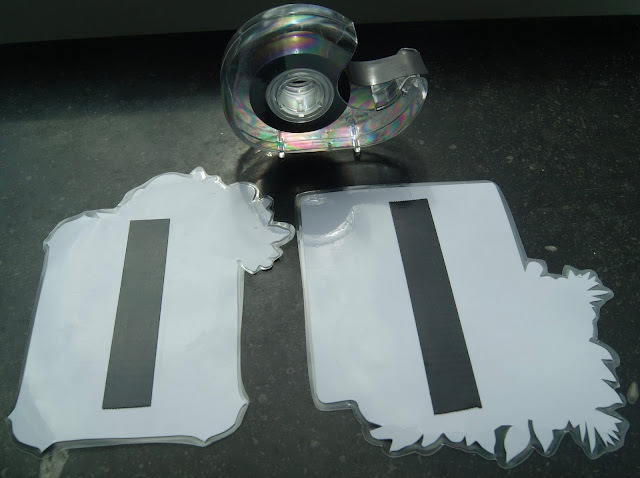 I have a look at the preview for these templates further down. You can see that you can really wildly versatile with them. 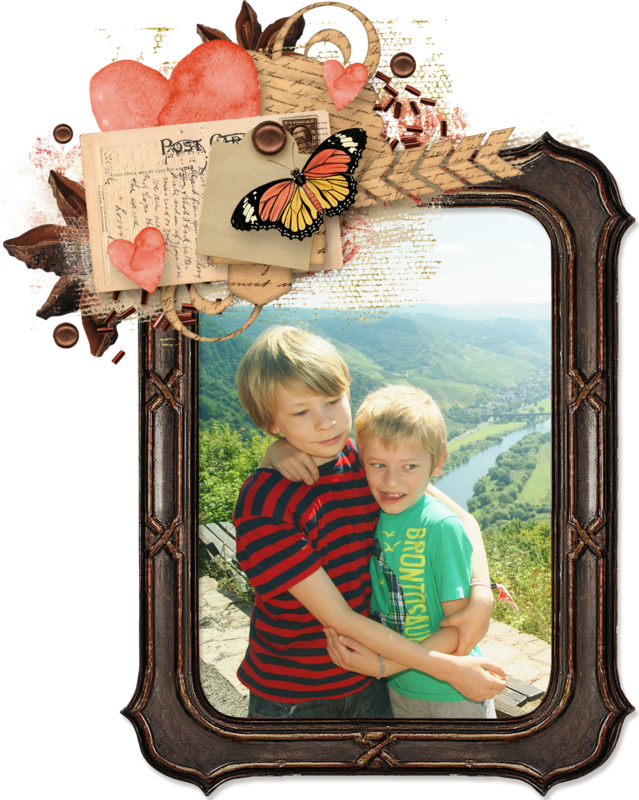 I used the photo spots from the templates to clip in a doily for some texture and inserted the frames and photos for something different. 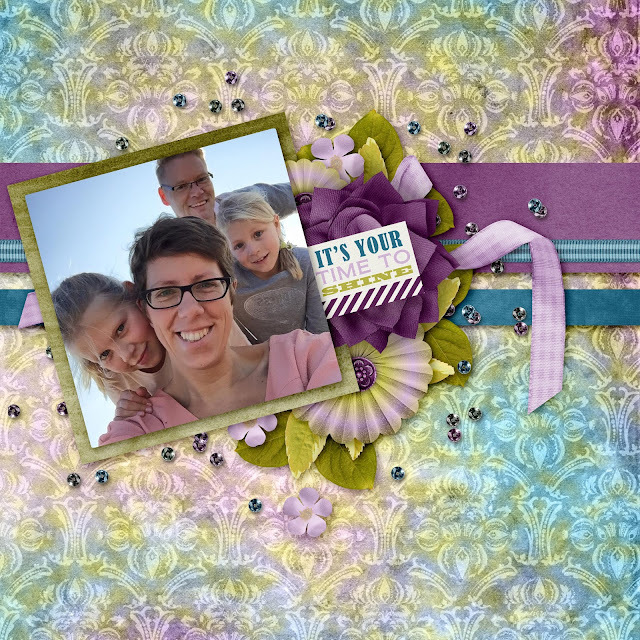 Here's that new kit again and fabulously designed by Dana from Made By Keuntje. I'm so in love with this page! I must admit, I really enjoyed with these templates. Hehehe...This one took me a bit until I got all of those flowers just right. This is also a peek at a new kit coming from Made By Keuntje. There are a lot more colours in this kit, but because the template was so busy to begin with, I stuck with just a few colours and I'm more than pleased with the results. 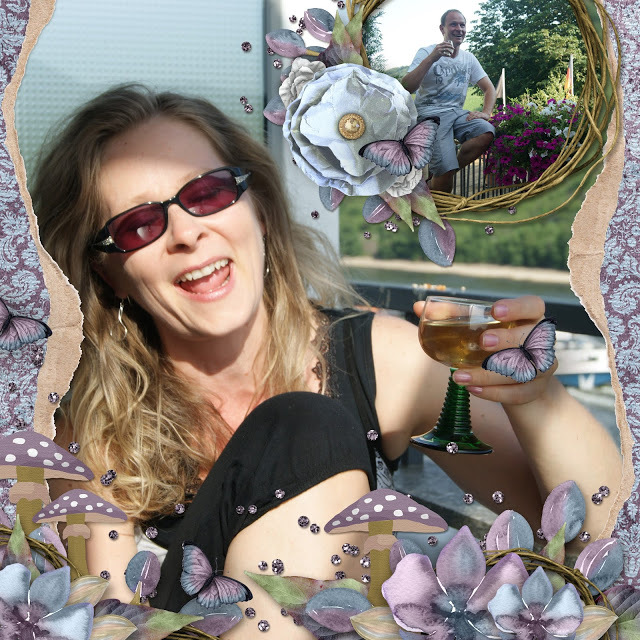 Don'cha just love scrapping fun vacation photos? We all loved it by the pool in Spain. Can't wit until we go back next spring. Once you've got yourself a nice, little cluster, simply copy paste it and portion it for perfection around your page. Perhaps add an element or two different in each. Here are more of those lovely colours from Dana's unreleased kit. Mmmm...look at all of the purple! This is another page from Dana. 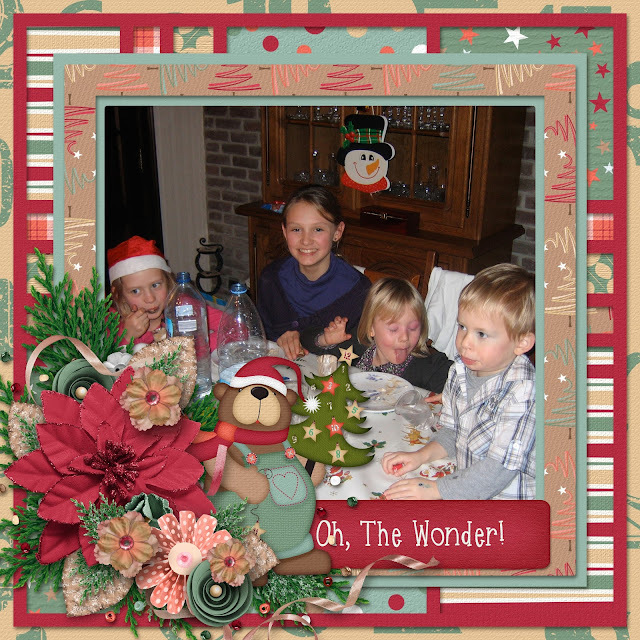 Totally wonderful! Here's the templates. I do not have PAGE format in the shop, but I do have them. 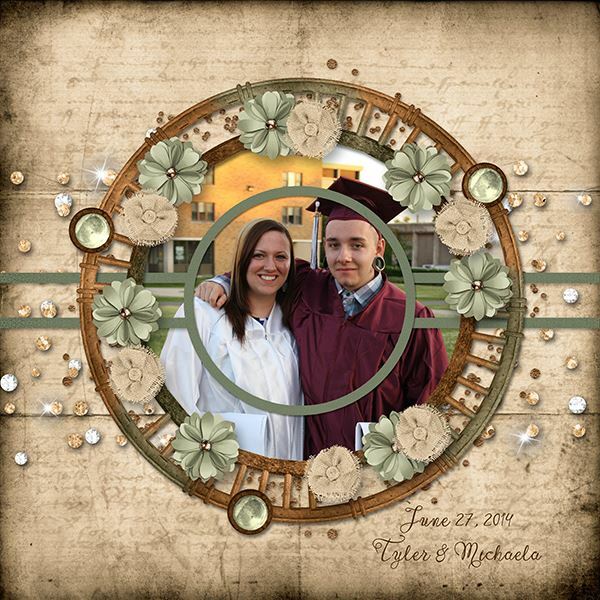 There were two templates that were too large for Etsy upload, but if ya want them, just give me a shout. I'll get them to you ASAP. If ya like free templates, then you better grab this one. 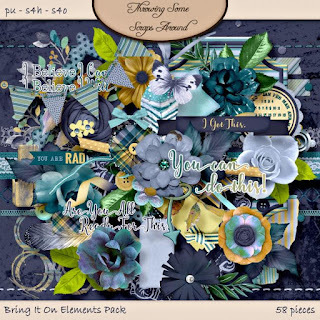 It's only free for a couple more days and if you do play and post in my group, you could win some new templates. These are my 57 Chevies templates in the shop. I used them to scrap up my next page. You can see I totally ditched the chevrons for this page! Hehehe... How simple and quickly this page came together. I'm showing off Throwing Some Scraps Around's newest release, Bring It On. That's a kind of total that I can get on board with. These colours are just so perfect, too. 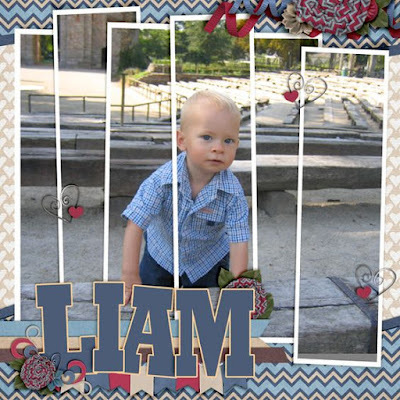 I used another template from my shop, Kreative Design Studio. Love Ya! 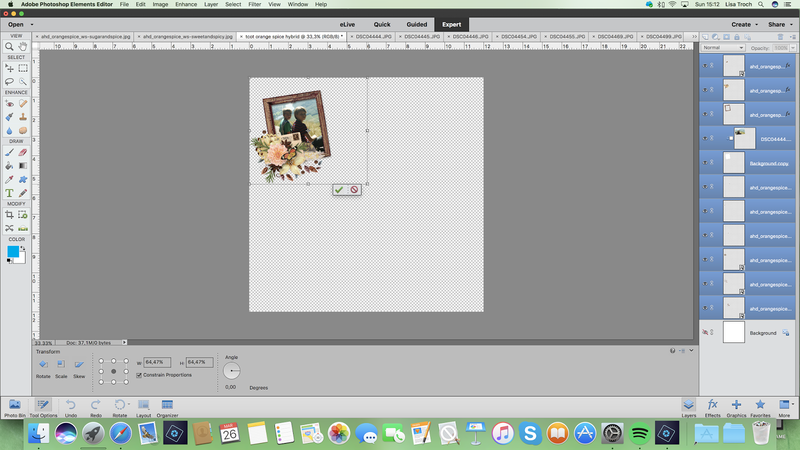 templates are so much. Give your pages a fresh, modern look with them. More things from Bring It On showed off nicely. This is a look at the kit. Click on the preview to get to Jodi's shop. 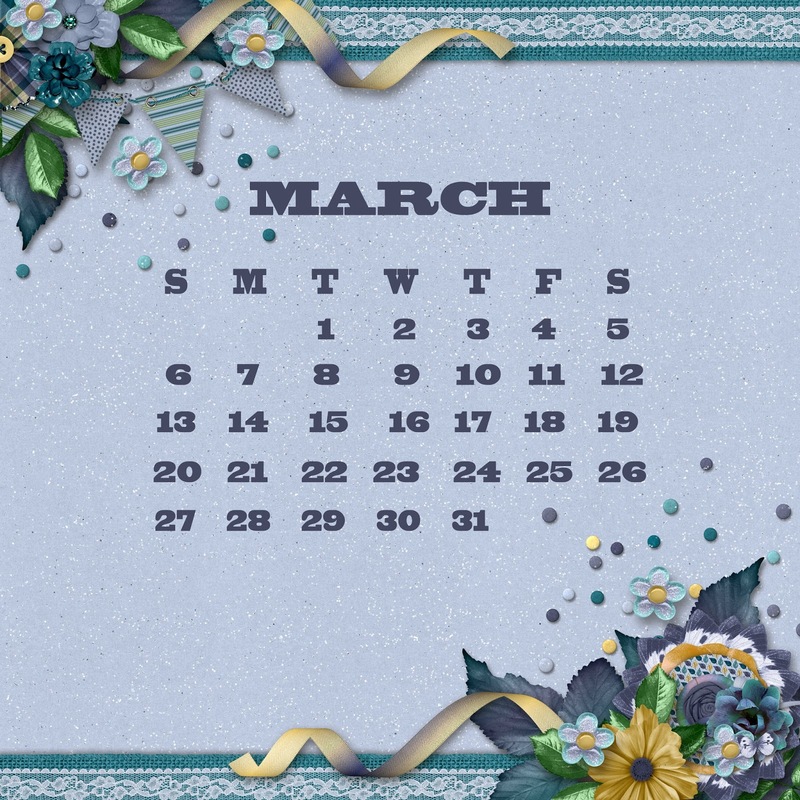 I used Bring It On to create this month's free calendar. April's calendar is also ready for you tomorrow. So, come on back and grab it. I love using them for my desk top. 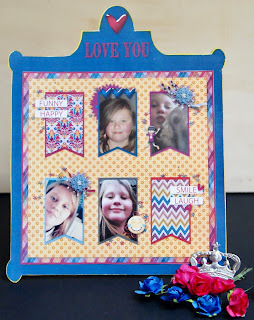 Jodi has used my stacked badges templates to design these pretty elements. Click on the preview to get them. 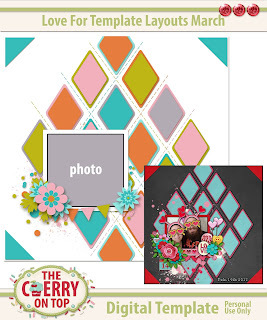 This is today's, new freebie. A little word art for the new season. 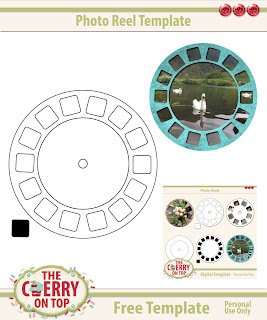 If you're thinking it looks familiar...This freebie is no longer available, but don't worry this blog and our new site is full of free stuff. 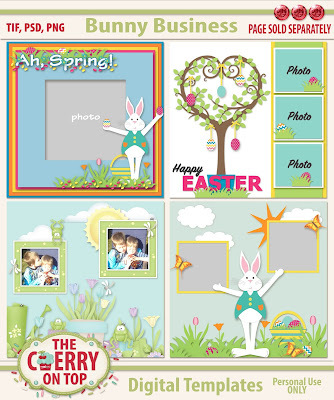 my templates, Bunny Biz. What better templates to use for your Easter pictures?! Thank you so much for giving The Cherry a little piece of your day. Consider joining our group and following us here, on Pinterest and Instagram. We started blogging a tutorial on how to get what I call this caterpillar effect for your photos. I gave all kinds of tips, showed off different ways to place your photo strips and today I've got the finished result with a few more tips. My apologies for my failing camera. I hope I can get it fixed. Ugh! This is as clear as I can get the darn thing. I decided to go with this look for my strips. Click here to see many other ways to place your photo strips. 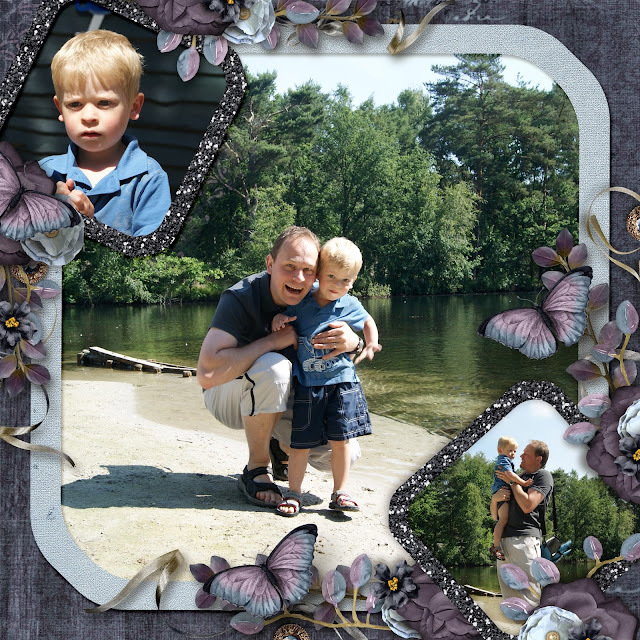 Here are how you can use large photo strips. The layout is very similar to the one above. This is how you can use small strips. Use a photo with a lot of background for the best effect. 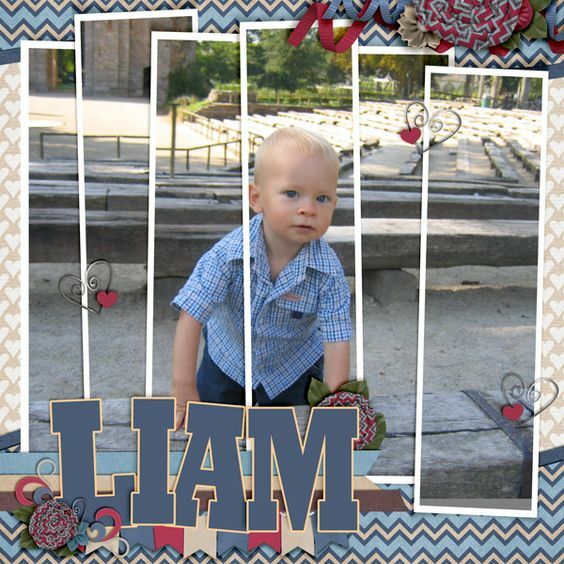 Try to use contrasting colours with your matting and your background to make it pop. It is so difficult to see the details on my page. Bummer! 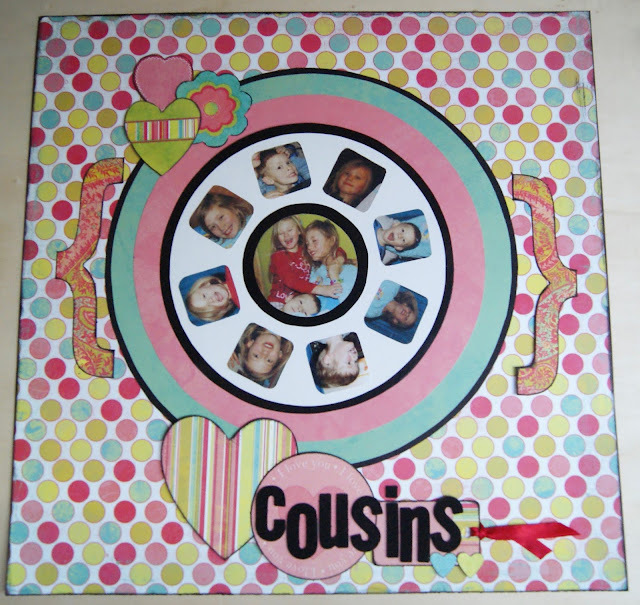 I used a large, wooden alphabet and glued it on the same paper I glued my matted photo spots for cohesion. I used some coordinating washi under the title from the same Posh collection from Simple Stories. I used their cute bird sticker and backed it up on the lightest pink from the collection. I adhered it to my C with a tiny glue dot and folded up the wings just slightly to give it extra dimension. I used a flower punch for the tiny flowers as well cut out flowers from that paper. Once again, I gently folded the pedals of the flowers and used the same tiny dots for the centre of the flower as I did to adorn my date at the top of the page. Simple scrapping with a nice result and not a lot of cash spent. 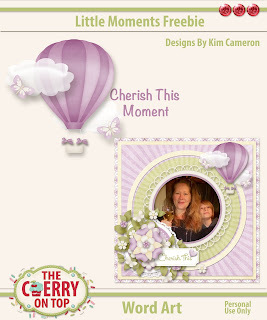 Here's another example of a digital page turned traditional. I've got a tutorial and a free template there. 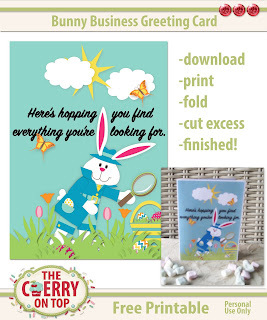 This is a hybrid page backed up on a free frame template and my latest free hybrid, an Easter card. Thanks for stopping by The Cherry. We will be back with more freebies for Freebie Friday and another hybrid for Saturday. See ya then!